Hello dear readers. 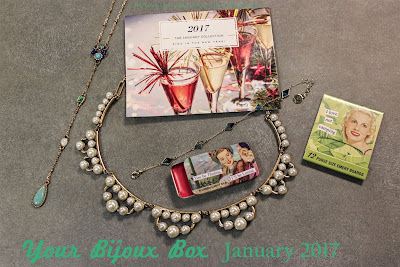 The January box arrived and it's loaded with lovely jewels! 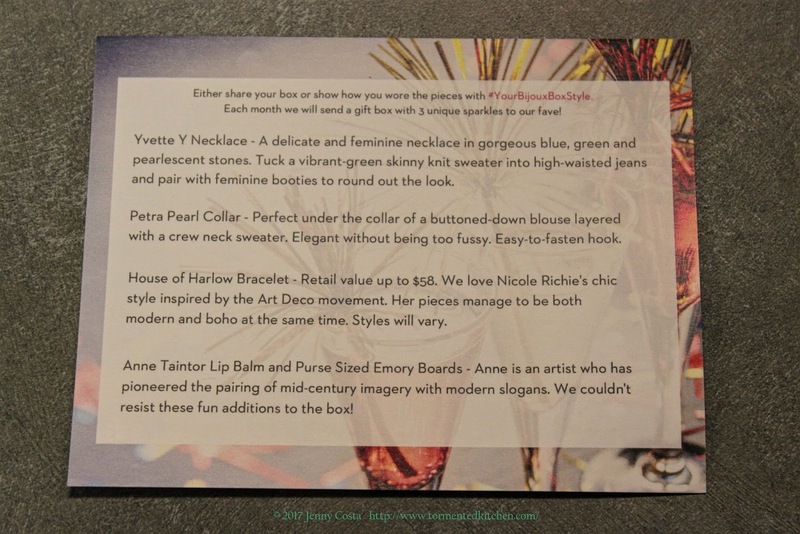 Let's see what goodies are in store this month! 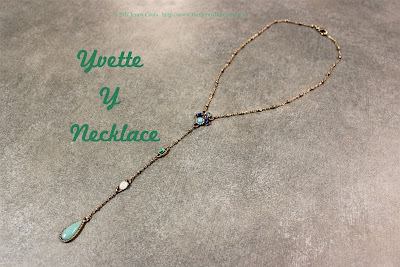 First, the Yvette Y Necklace. 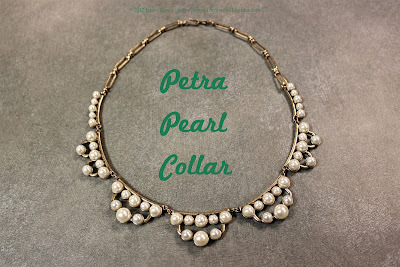 It has been freezing cold here and seeing this necklace instantly made me think of warm summer days. The shades of blues and green are really deep and beautiful. If these are semiprecious stones, I'd say they look like blue lapis lazuli, green malachite, moonstone, and chalcedony. 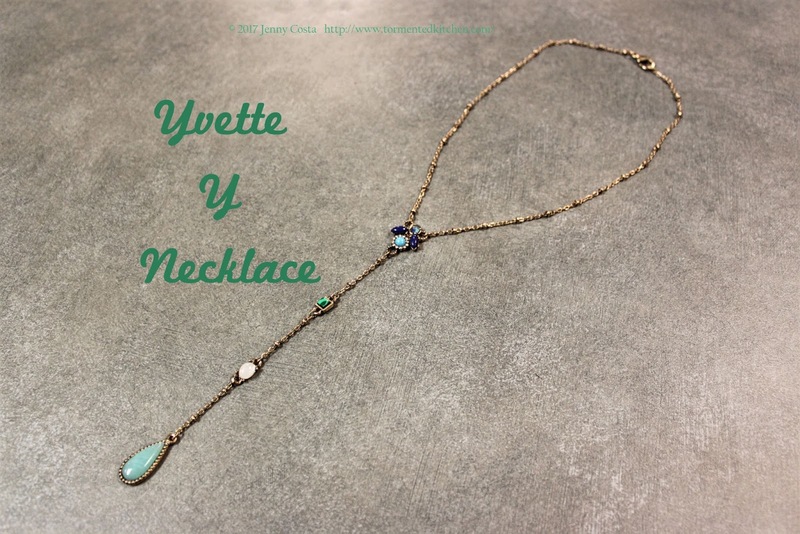 These colors make me think of green grass and deep water. 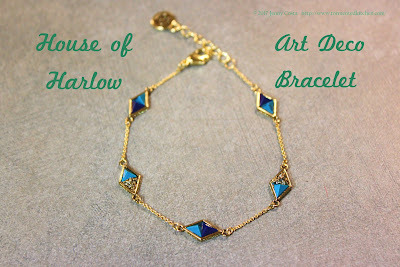 Second, using the same color scheme is the Art Deco Bracelet from House of Harlow. 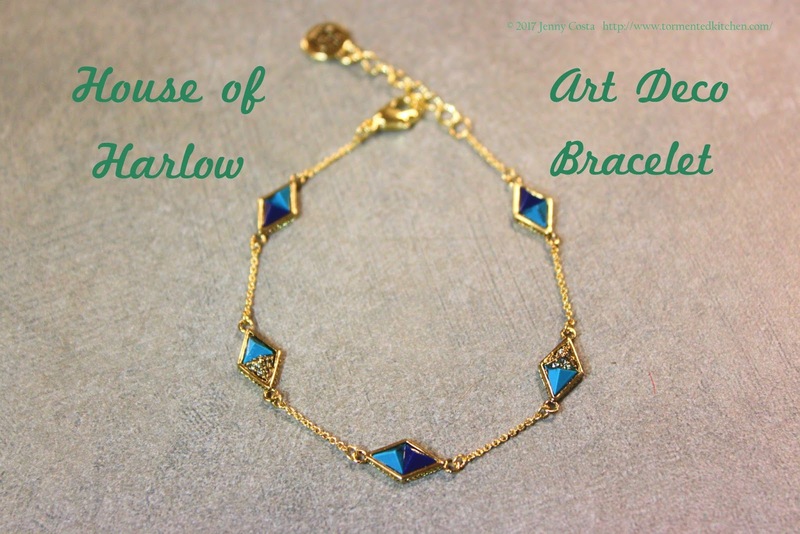 I love this bracelet. It's very delicate and the colors are gorgeous. It was a real pick me up to get something so amazing. Third, the chunky and gorgeous Petra Pearl Collar necklace. I need to pair this with my chunky tan mock turtleneck sweater. 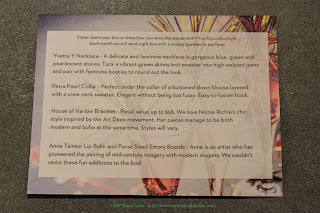 And lastly, two goodies from Anne Taintor. 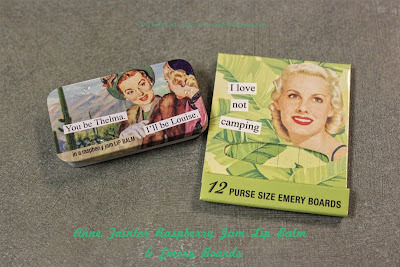 The box included a slide-open tin of raspberry lip balm and a matchbook of purse-size emory boards. These are too cute! Also, the tin of lip balm is like a flashback to my childhood and yummy Avon lip balms, except with cheeky graphics! There you have it. More great stuff from Your Bijoux Box. Thanks for stopping by!